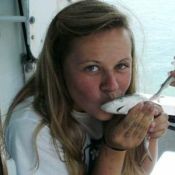 For more than 35 years UNCW MarineQuest, in conjunction with the Center for Marine Science and the Watson College of Education, has provided exciting academic enrichment opportunities for young people interested in the marine environment. and encourages them to develop into environmentally responsible adults. To achieve this we offer summer academic enrichment programs and school programs for all ages, from pre-school through pre-college. All of our lessons and activities are designed to make the learning process fun and engaging and many are based on the research of UNCW scientists. Whether young people experience MarineQuest as summer campers exploring the ocean or students on a field trip discovering a marsh, the outcome is the same: MarineQuest is more than just another day at the beach; MarineQuest is making waves in environmental education!